The formation of the Khazar Kingdom began when Ziebel (Zebulon) a Prince of one of the Gokturk Ruling Houses (R1a ydna Ephraimite) (descended from Istemi a half-brother of Bumin) married the Jewish Princess Georgia of Iberia (H2 mt-dna) of a branch of Princesses descended from the Jewish Nephthalite (Hephthalite/ Tribe of Naphtali) King Khurad (N-ydna). 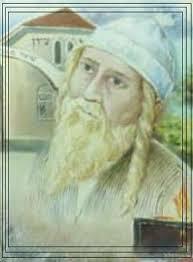 They followed a simplified non-Talmudic form of Judaism. Istemi and Bumin shared the same mother Ashina Tuwu by two different husbands. Bumin or Benjamin's father was descended from Jiang or Ji Princes of China who were descendants of the Tribe of Benjamin (Q ydna). 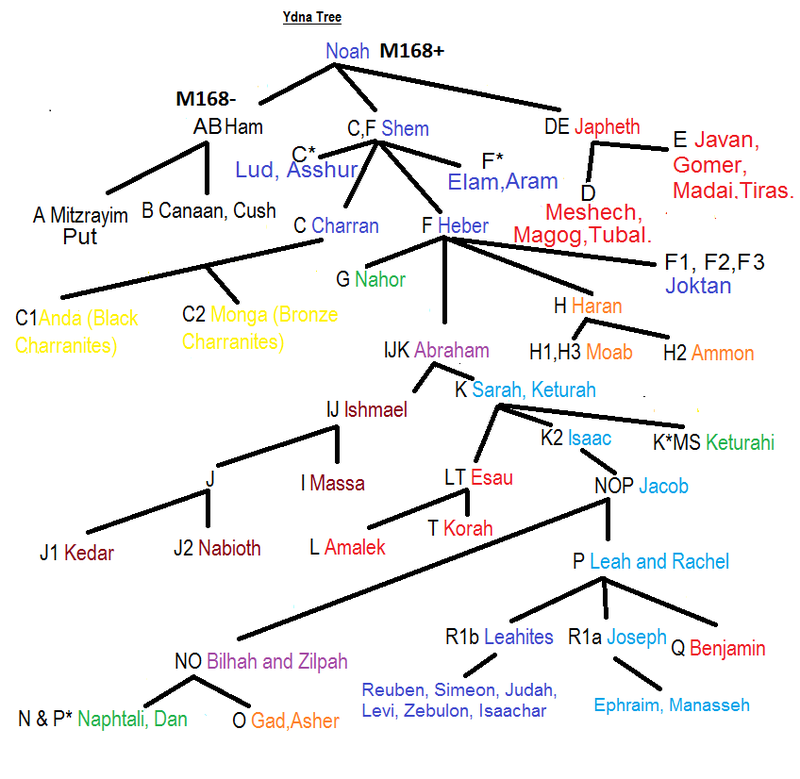 Istemi's father was a Slav Prince (R1a ydna) of the Tribe of Ephraim. 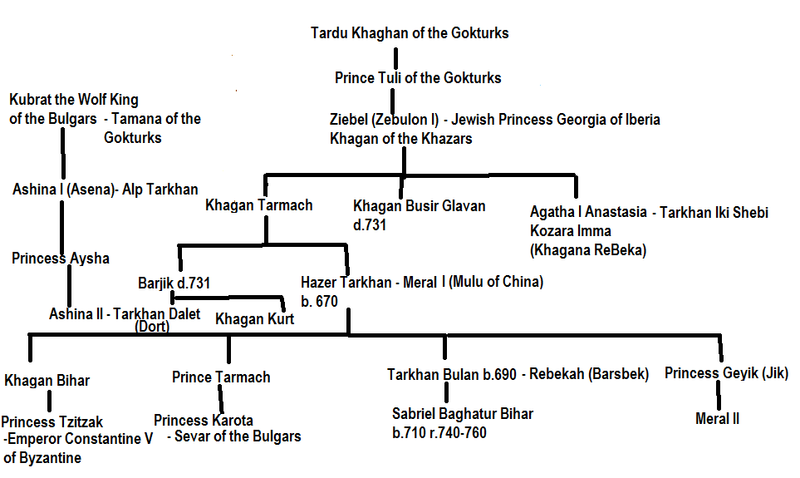 Ziebel's Hephthalite descended General became the first Khazar Tarkhan by marrying the Ashina Princess the daughter of Kubrat or Kurt the Wolf-King of the Bulgars and his wife Lady Tamana Ashina (H7 y-dna). 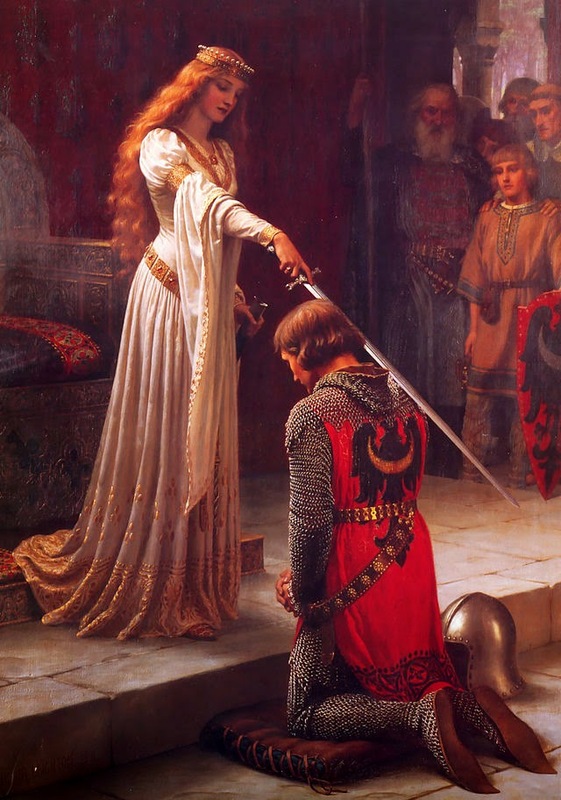 Princess Ashina of the Bulgars became the first Khazar Sacred Khagan Bek. At first the Khagan Bek was selected by the two Royal Houses of Ashina and Kedi. When the Chinese Empress Wu Wetian arranged the marriage of her granddaughter Mulu (Meral) to the Khagan of Khazaria a third Royal House was added to the selection. Ashina developed from the Israelite Warrioress Mother Shekhinah associated with the Sapphire Blue Brickwork. Ashina can mean blue as well as She-Wolf. In Turkish mythology Ashina the She-Wolf is connected with the colour blue. Bumin is a form of Benjamin and the Queens of Zhou were intermarried with men of the tribe of Benjamin whose emblem was the Wolf (Zevi or Zebi). 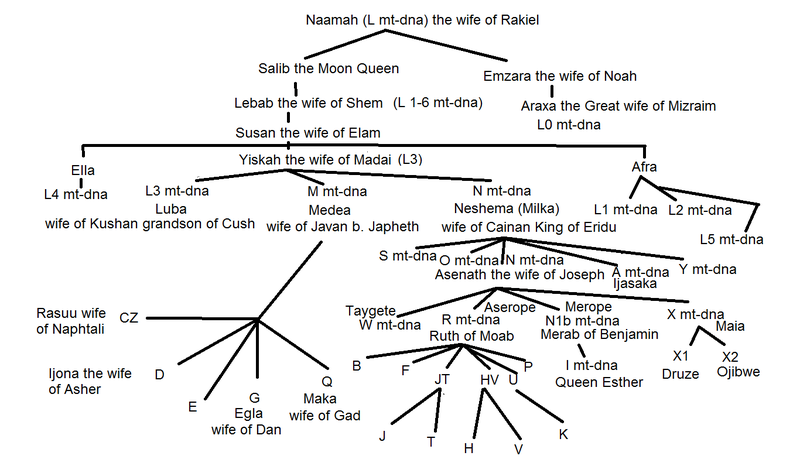 The She-Wolf (Zeba) refers to Benjamin's mother Rachel who is an embodiment of the Shekhinah and the concept of the Kingdom or Queendom (Mandate of Heaven). She is also associated with the Earth Mother Goddess Gazar Eej or Eje. The word Gazar meaning earth. 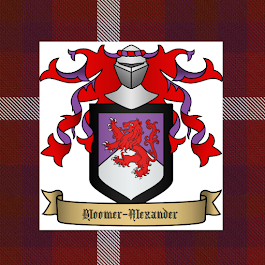 The name Gazar is the origin of the name Khazar. The Khazars were the people of Gozara or Kozara the Earth Mother who was embodied mystically and spiritually in the person of the Khazar sacral Queen Mother the Khagan Bek. 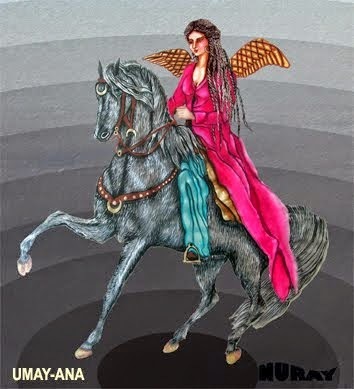 She was also called Umay or Mystical Womb and Ana as the Lady or Goddess of Fire. The Bek in Khagan Bek (Khagana ReBeka) is a shortening of Rebecca (Ribkah) which some scholars such as Albright associate with the Aramaic/ Hebrew Ribiku which means soil or earth and was a name for the Earth Goddess of the pre-Abrahamic Hebrews. Rachel originally meant (womb of God) connected with the word Rachem [womb or literally womb (rakh) mother (em)] which in turn is associated with rachum (compassionate mercy). Jewish liturgy calls God haRachamim (the Compassionate merciful One). Like Elohim it is in the plural reflecting the fact that the essence (atzmut / ousia) of Elohim (literally Gods) is a Divine Womb [s] that is in three uncreated persons (partzufim) or lights (Tzachtzachot). The Earth Mother [Shekhinah/ Sophia] is a created immaculate icon/ lattice/ mirror of that Divine Wombs as the earthly womb. Gozara is a shortening of "Gozan Ara" (Land of Gozan) the place of Exile that the Israelites were moved to by the Assyrians. Velikovsky identifies Gozan with Kazan and the River Volga. Gozan in Hebrew can also mean "cut off from the stone" alluding again to the sapphire stone of the brick pavement under the feet of the God of Israel. 8. Agatha III Kedi (daughter of Princess Jidha (Judith) of Abkhazia and Khagan Chunukah (Chenoch) of Khazaria) married Tarkhan Chet (son of Khagan Hezekiah of Khazaria and Princess Rebeka Meral). 13. Ashina V (daughter of Princess Ashina and Khagan Zechariah) married Tarkhan Mem (son of Tarkhan Kaf and Agatha IV Khagan Bek).